Join them in stopping the cycle of poverty and devastation. Their vision is to have Red Cross first aiders, blood donors, and health and welfare volunteers in every home, school, business, and community in every corner of the Philippines. On December 4, they will be running to create a culture of volunteerism in the Philippines that will define the Filipino nation before the whole world. 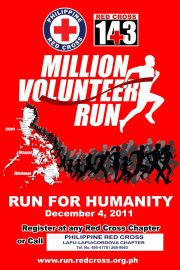 On December 4, 2011, the world will witness history as a nation unites to rise up and run for humanity. Volunteers, click here. Sponsors, click here. 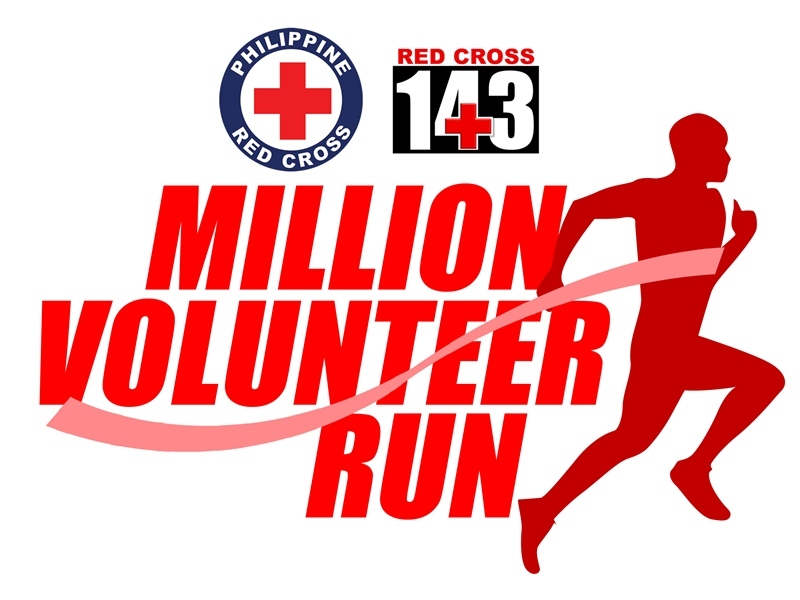 With the United Nations having declared 2011 as the International Year of Volunteers, the Philippine Red Cross seeks to awaken the volunteer spirit in every Filipino through the Million Volunteer Run on December 4, 2011, to be held in all key cities and municipalities nationwide. The Philippine Red Cross (PRC) will serve as a driving force to advance the spirit of volunteerism to address today's humanitarian challenges. We will empower the nation against the dangers of disasters. All volunteer participants will be trained as humanitarian soldiers when disaster strikes. In line with this effort to build the nation's capacity to cope with life-threatening emergencies, the cost to sponsor one volunteer is P1,000. The funds will be raised for the Red Cross 143 Volunteers Training Program on disaster management, and equip the Filipino communities with life-saving tools.